We know this decision is not easy so we work hard to make the process as easy as we can. Read the FAQs prior to completing the Surrender Form. Why surrender my pug to PRoNE? PRoNE has a waiting list of pre-approved adopters. We have been helping re-home pugs for over 30 years and care a great deal about our pugs, our volunteers and our organization. We work for the best interest of every pug in our care. What do I do if I need to surrender a pug? First, complete the online Surrender Form. Then call your vet and have complete medical records faxed to us at 774-404-2688. Once received, we will review your Surrender App. Our Intake Manager will be in touch. In case of emergency, email pugrescuenewengland@gmail.com. In order to place your dog in an appropriate foster home, and ultimately in a well-matched new forever home, we need as much information as possible. We ask for time frame, name, age, gender, color, health/behavior issues, etc. If at all possible, a copy of vet records is a tremendous help. Why not use Craigslist? Or a classified service? Please proceed with EXTREME caution if you are considering selling or giving your pug away on Craigslist. It can mean the difference between life and death for your pug. 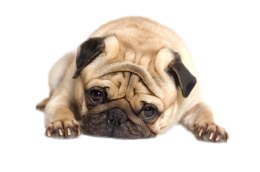 There are those that are looking to buy your pug for resale, and there is no way of knowing what kind of care your pug will receive. When you give your pug to a rescue organization, you know that you pug will be well cared for in foster care, and placed in an appropriate home. Where does my pug live? All our foster pugs live in our approved foster homes all over New England. They are treated like one of the family. They remain with the foster family until adoption. No. We do not charge a surrender fee. We do, however, ask for donations to help offset the costs we incur on behalf of each pug. Those donations go from $25 and up. 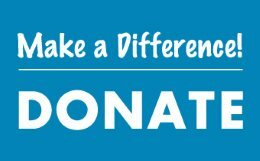 An average donation is $100. Of course, this is NOT mandatory, but is greatly appreciated. Does someone pick up my pug? A PRoNE volunteer will meet you in a convenient location. Because we are a 100% volunteer organization, we depend on the surrendering owners to participate in this portion of the pug’s surrender whenever possible. Yes. We cannot accept a pug into foster care without a signed Surrender Form. The PRoNE Transport volunteer will provide that form for you. This is a legal and permanent transaction. Can I get my pug back if I change my mind? No. While we understand the decision to surrender a pug is difficult, we feel it’s in the best interest of the pug and their new family that this sort of disruption not take place. Rest assured our forever homes will provide pug with an unending supply of love and care. When you surrender to PRoNE, you know we will find a wonderful home for that pug. Your surrender is permanent, we do not take in temporary foster pugs. I'm from a shelter or vet's office. What do I do? Shelters and/or veterinarian’s offices please complete the Surrender Form, providing the inside telephone number or a cell number so we can reach you after normal business hours if needed. When Money is the Issue…..